You know those activities that don’t exactly go as planned? This is one of them. Luckily it went the best way possible, into a totally engaging educational activity. 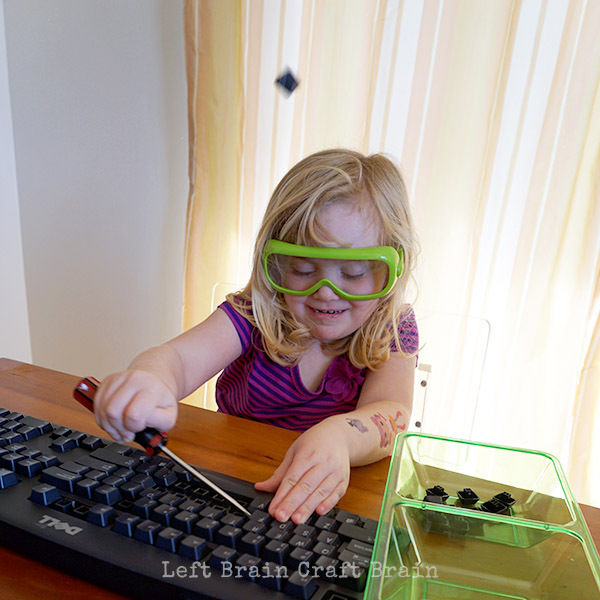 My daughter and I spent an hour pulling apart some computer parts, screw by screw and had an amazing STEM learning experience along the way. 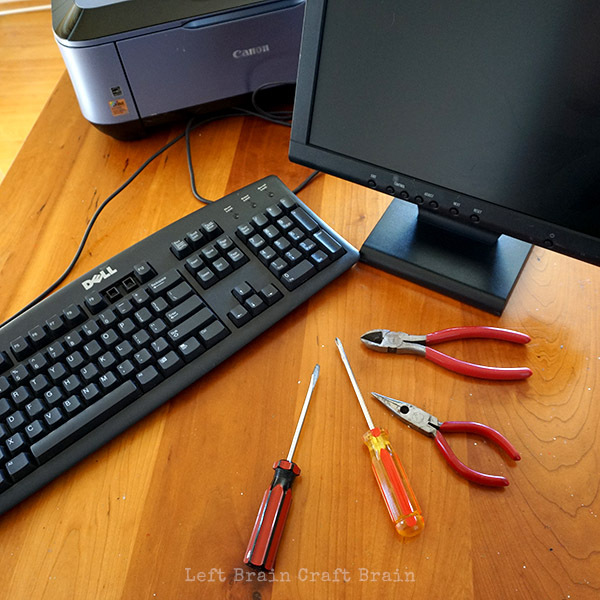 I’ve got some tips for how to make your computer part tinkering session go just as smoothly. Keep reading for this week’s Love to Learn Linky, too. This post contains affiliate links. This project is really about using what you have available. We went dumpster diving at the recycling center for some computer parts and came home with a keyboard, monitor and printer. No actual computer, but still lots of fun parts. Please do not work with CRT (cathode-ray tube) monitors. These hold high voltages long after being unplugged and used and can be safety hazards without correct safety procedures. To ensure that any residual energy in the components has been discharged, unplug the equipment and let it sit for at least a day before opening and working on the parts. There’s not really that much to it! Just start taking stuff apart. It helped to have a big table because these components take up a lot of space. Also be sure to have a tray or bowls to catch small pieces. You would not believe how many screws there are in a keyboard or monitor! A little note here about age. My daughter is 4 and totally loved this activity. With some simple supervision, this makes a great preschool STEM activity. Older kids will love doing it all by themselves. Then we explored the insides, which were a total surprise to her and me. Where were the standard circuit boards? The thin film circuits we found are the inspiration for some projects we have coming over the next few weeks. What’s What Inside a Computer? Then came the monitor deconstruction. I got a lot of “What’s that?” type of questions in this part. And honestly, I didn’t know the answers. Umm, it’s a thingamabobber with a widget attached. (I’m a chemical engineer not an electrical engineer!) So I went to Google and found this awesome Electric Component Guide from uCHobby to help answer her smart questions. Print it out and then play a game of match the part. 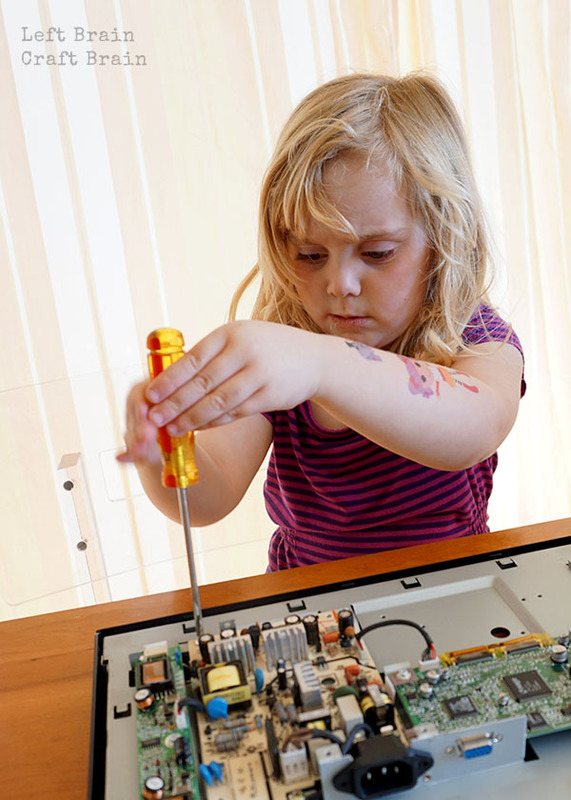 Tinkering is an amazing thing, especially in little kids. Its open ended nature helps them experience true creativity and learn problem solving. 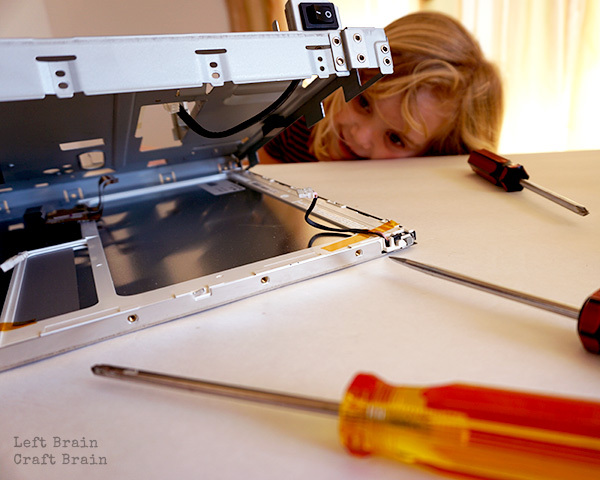 And it really doesn’t take much to have a successful tinkering session because kids are natural explorers. Success comes from a state of mind, not from stuff. 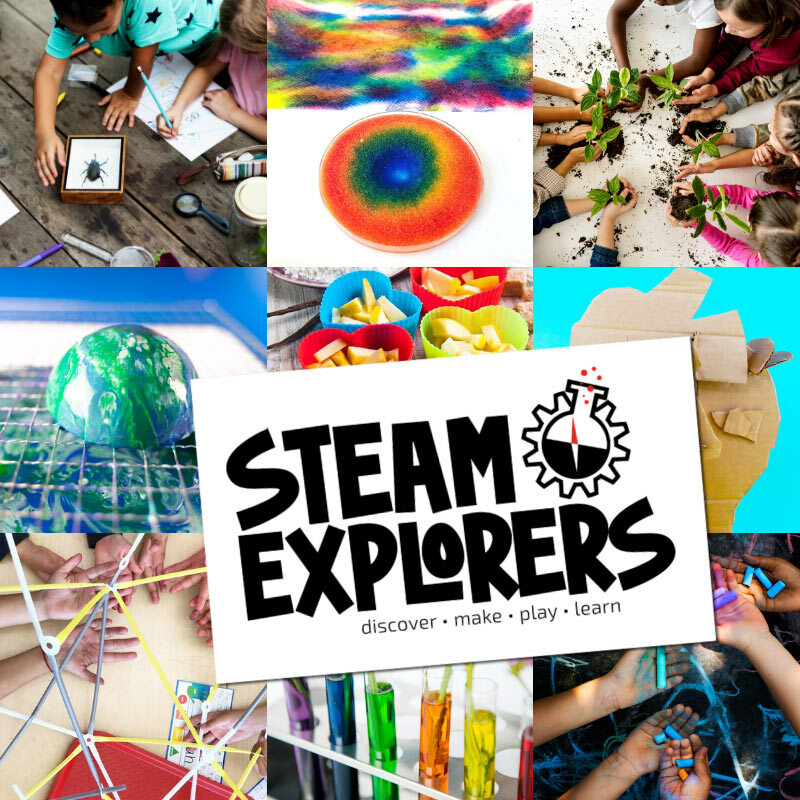 Curiosity – Exploring, testing, trying, questioning, learning is what this is all about. Curiosity is the energy that drives this engine! Time – Don’t rush these sessions. Sometimes the coolest moments come once the kiddos are comfortable with the materials. Something New, Something Old – Although my daughter will tinker repeated with old stuff like nuts and bolts, sometimes the new things bring about the most excitement. 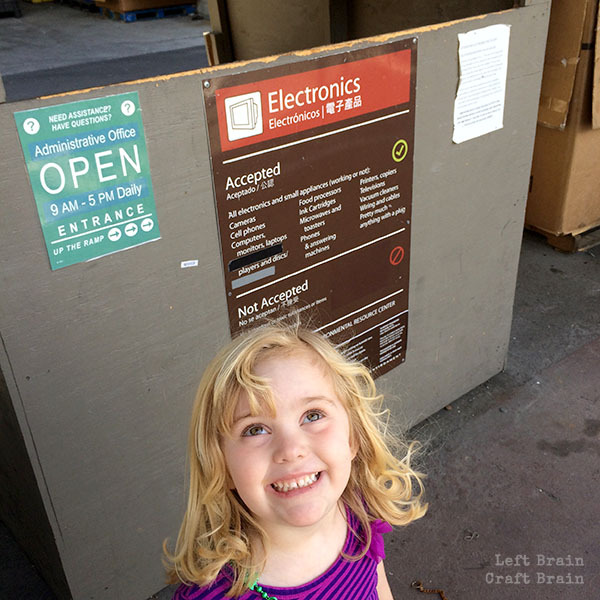 She had never seen inside electronics, so the curiosity kept her intrigued. But it was the tried and true screws and screwdrivers that kept her going without frustration. What do you think that part does? How could you make it easier to take apart? What was the most surprising part of the component? The process? 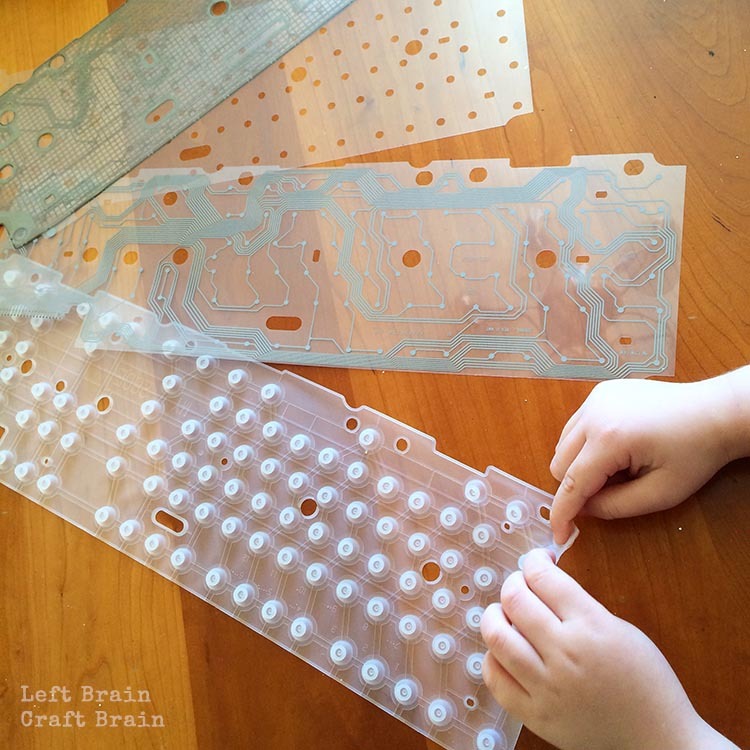 Jacquie from KC Edventures shared a fun computer part activity in last week’s Love to Learn Linky. 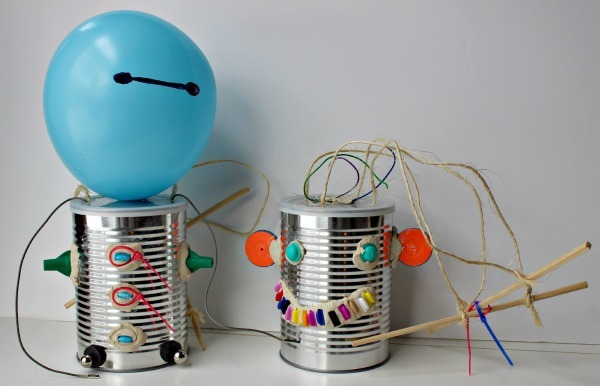 Make Your Own Robot anyone? I was inspired to play with old computer parts by a really cool series called the 60 Day Junk Play Challenge. It’s hosted by Best Toys 4 Toddlers who was inspired to find toys for her kids everywhere but the toy store. Click on over for ideas to make the most of your recycling bin! All packed up in an easy to do package, ready for kids ages 5-12 to have fun. Now it’s time for some more links! I hope you’ll join us for a fun and educational linky party. Bloggers, share your posts every Thursday and watch as we round them up and share them all over the place. Almost anything goes, we’re just hoping your activities teach kids (or us!) something (science, art, cooking, behavior, crafting, parenting etc…). And now it’s time for the links! This is quite an interesting activity. My 3 year old would love to do this. Let me fish out some old electronics and see if they can be tinkered with! Thanks for the idea! 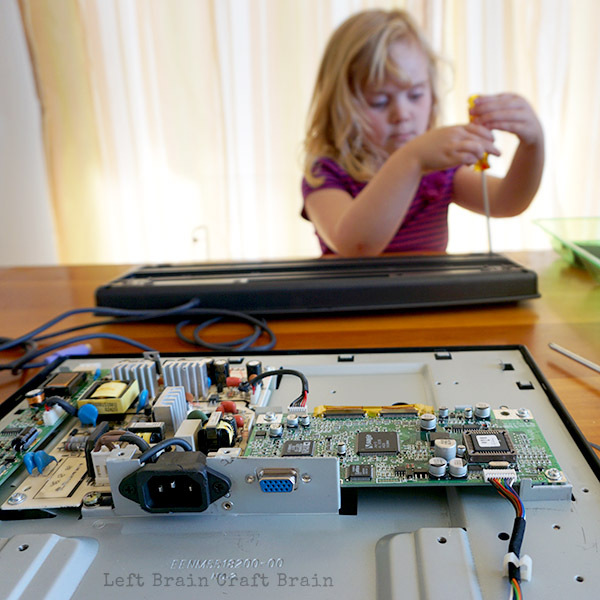 My parents always save their computer parts for the kids to take apart. It is such a fun way for kids to learn. This is genius Anne! We are so taking about a computer this weekend. This is genius Anne! 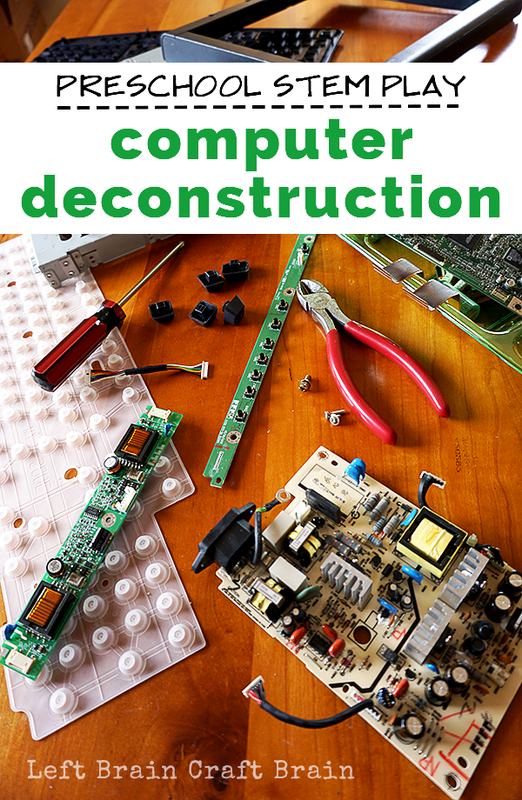 We are so taking apart a computer this weekend. I really loved the idea of this activity as I think my 2 little boys would enjoy doing this together. After mentioning it to my parents they were concerned about exposure to toxins. Is this a valid concern with computers these days? Toxin exposure is not nearly the concern that it used to be in CRT televisions where it was very dangerous. I was not concerned, however, please decide what is best for you and your little ones. This really inspired us Anne! We had recently picked up a make your own robot book from the library and we decided to take apart some old cell phones to look for parts for our robots. So much fun! Oh this looks like such fun, but how did you handle the power risks in the monitor and the heavy metals in the computer bits? I’ve always wanted to do projects with a monitor but as an adult the warnings about the power they can hold for so long has always scared me off. Is there some way of knowing the power is discharged? That’s a really good reminder! We did not work on a CRT, but a flat panel LED display which doesn’t hold the voltage that a CRT does. I would not recommend working on a CRT due to the high voltage or the heavy metal exposure without detailed instructions on how to stay safe. I am so excited. I just replaced my old keyboard and I remembered your post! I can’t wait to tinker with it with my 5 year old daughter! I have a feeling the old keyboard will be more colorful and glittery than in it’s “normal life”! Thanks for the inspiration!